We're thrilled to have Beth Revis stop by to chat about her latest novel, GIVE THE DARK MY LOVE. Beth, what was your inspiration for writing GIVE THE DARK MY LOVE? I wrote about my inspiration in more depth here (https://www.wattpad.com/612052066-wattpad-block-party-summer-edition-iv-bethrevis), but in short, three different forms of stories inspired my own. It started with the anime Fullmetal Alchemist--the description of alchemy and the costs and consequences of it took root in my brain more than a decade ago. Much, much later, when I saw Snow White and the Huntsman, the character of the evil queen as portrayed by the brilliant Charlize Theron really inspired me. I had a magic system I wanted, and a heroine to use it...but the story itself didn't really "click" until the Hamilton soundtrack wormed its way into my head, and suddenly the world and the character had a plot. The books I turn to when I want a deliciously dark tale are the same ones I think other readers who like Give the Dark My Love will appreciate. Six of Crows by Leigh Bardugo is one of the most brilliant books written, and I'm actively envious that I didn't write it first. Same with Kendare Blake's Three Dark Crowns. What a premise! I also think Julie Dao's Forest of a Thousand Lanterns and CJ Redwine's The Shadow Queen hit the perfect notes for those who, like me, are more interested in the villain's tale than the hero's. Kerri Maniscalco's Stalking Jack the Ripper and Carrie Ryan's The Forest of Hands and Teeth are full of the horror and macabre that come with the dark. And all fantasy fans should read Cinda Chima! This happened to me three times. In the first draft, my hero is sent to kill the heroine. He believes he's killing someone who's monstrous and that it's for the good of everyone but... there's really no way to build romance with your would-be murderer, no matter how you try to spin it. So that plot line had to go, and with it, the whole draft I'd built around it. The next thing I realized I had to change was a particular scene that currently happens in the middle of the book. I had previously had it happen in the past, and it was only mentioned briefly. But that scene is a primary motivation for my main character's actions. It basically defines who she becomes. In talking about it with fellow writer Carrie Ryan, I realized that I couldn't have this scene be a vague memory--I had to show it on the page for the readers to experiences, so that they could understand my character. In addition to the sequel to Give the Dark My Love, I've also been working on two new YA titles and one adult book. They're all twisty and dark and weird and I love them. Beth Revis is a NY Times bestselling author with books available in more than 20 languages. 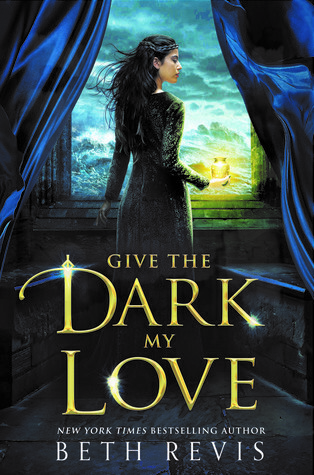 Her next title, Give the Dark my Love, is a dark fantasy about love and death. It will be available this fall. Beth’s other books include the bestselling science fiction trilogy, Across the Universe, and a novel in the Star Wars universe entitled Rebel Rising. She’s the author of two additional novels, numerous short stories, and the nonfiction Paper Hearts series, which aids aspiring writers. A native of North Carolina, Beth is currently working on a new novel for teens. She lives in rural NC with her boys: one husband, one son, and two massive dogs. Have you had a chance to read GIVE THE DARK MY LOVE yet? Do other works inspire pieces of your novels? How do you handle the need for flashbacks and memories? Share your thoughts about the interview in the comments! Beth Revis ROCKS! What else is there to say? ?